Fenway Night 1 through Ten Club. Fenway Night 2 thru friends. Born & raised in Boston. I live 1 block from the ballpark so seeing them in 2016 at the Fenway shows was a musical dream come true. Psyched to have 36,000 friends per night in attendance again over 2 days. 306xxx both nights see you there! Guess who you lucky folks get to rock out with? "The really important thing is not to live, but to live well. And to live well meant, along with more enjoyable things in life, to live according to your principles." 133xxx the first night. Woo-hoo! 540XXX, both nights. Hoping just to not be under a roof. Same issue here. 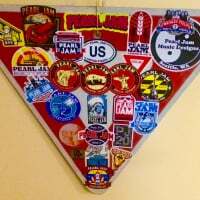 Member from 2000-2007, re-upped in April 2016. Didn't have 10 Club tickets for Fenway in 2016 (bought through StubHub), but I had a post right in front of me. Literally - there was no seat in the row in front of me, because the pole was there. Terrible decision-making on my part. It wasn't the WORST thing ever. I mean, not great, but I was at the show, and could see one of the screens without leaning. n2 boston , only show put in. 486xxx headed to both shows. Hoping to be surrounded by lots of 10C members! 190XXX both nights! See you there! Only went to the 2nd show in 2016, looking forward to both this year! Glad to hear this. I booked an Airbnb on Parkway Rd and thought it looked like a great location. Question for you though. Do you know of any public playgrounds in the area. I saw a couple on google maps but they looked like they were fenced and locked in. 472xxx - Night one. Thanks for putting this together. There are allot more seats this time. i think this will move us back. 438XXX, in for Night 1 (but will do my best to stick around for Night 2!). 150XXX, Night 1 was first choice and Night 2 was second choice I got both and those were the only 2 shows I put in for. Really depends on the distribution of the extra seats 10C got. 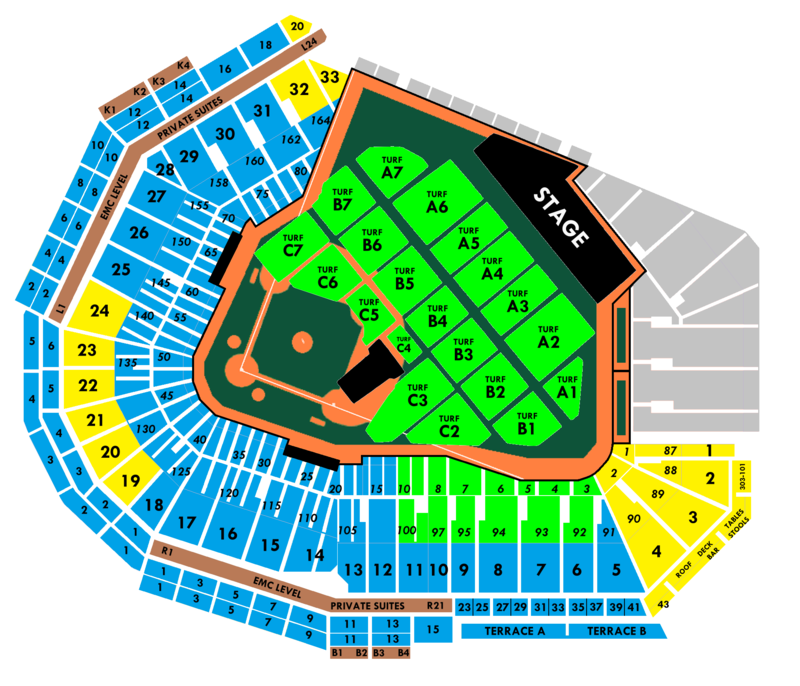 Last time you could get a lot of Field C and some B through public onsales. If they secured a bunch of those, it could be a mixed bag. Mid tier numbers would benefit the most, anyone with very low or very high numbers would move back a little. One thing I'd be fairly confident on is that, if you have tickets to both, N2 will probably be better than N1. I know we're still seven months out, but does anyone have an extra for night 1? i didn't have lottery luck.. i can possibly offer an extra seattle 2 GA in trade, but I won't know that for sure for a few weeks. thanks!